As mentioned here, I'm throwing a baby shower this coming Saturday for my good friend. 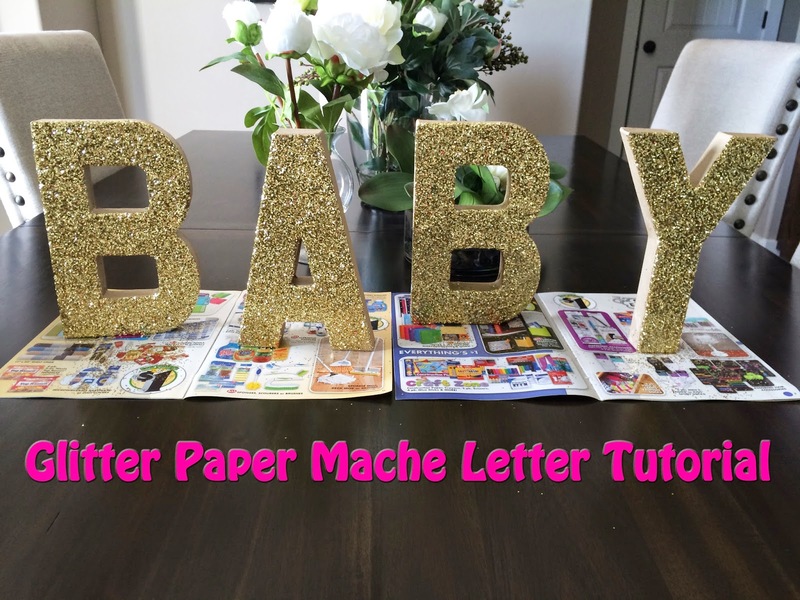 I've already shown you how to make the super trendy tassel banners, so today I'm going to show you how to make gold glitter paper mache letters. They are such statement pieces, and really help your party decor to pop. They are super easy to make so there's no reason you can't try them for your next party! 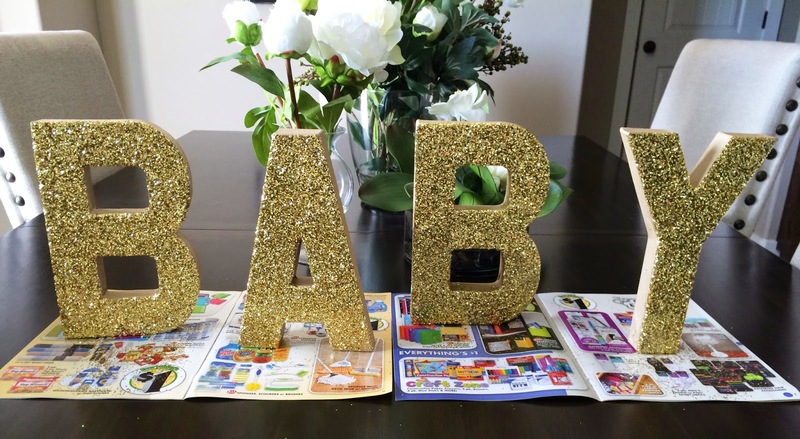 Using the paint brush apply the mod podge to one side of the letter. Immediately shake the glitter on top of the mod podge. Gently shake off the excess glitter. Allow to dry for at least 30 minutes before doing another side. OMG! So cute! I can't wait to have something to try this out for! Thanks for sharing! Thanks Christie! It's so great for parties and decorating for holidays! I know this is a bit of an older post, but are there no issues with the glitter falling off? Do you need to seal it? Thanks! Some of the glitter does fall off. I would usually put over the top another layer of the modge podge and that helped with keeping the glitter one. Unfortunately glitter is just super messy!